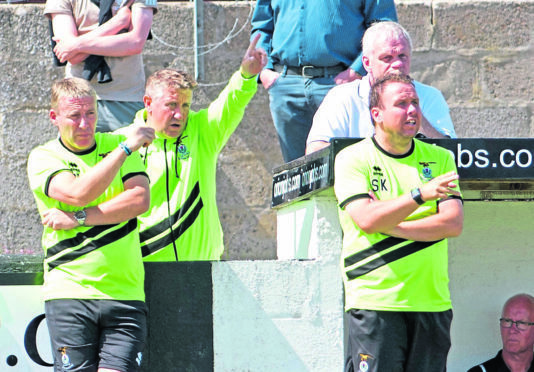 Caley Thistle manager John Robertson, centre with assistants Barry Wilson, left, and Scott Kellacher. Caley Thistle have added a Brazilian to their ranks following the addition of teenage midfielder Matheus Machado. Machado, 17, previously played for Red Bull Brasil in his homeland but has relocated to Scotland due to his father’s work commitments. After impressing on trial at Caledonian Stadium in recent weeks, Machado has done enough to earn a deal with the Highlanders and he will be added to the club’s under-18s squad.